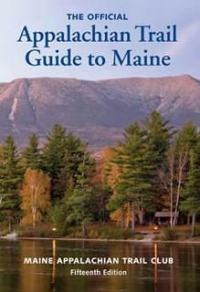 Appalachian Trail Guide to Maine, published by Maine Appalachian Trail Conference. 15th Edition, 2009. Covers 281 miles from Maine/NH line to Katahdin. Includes 168-page guidebook (4 ½” x 6 ½”) edited by Ray Ronan, with extensive background info. The 7 sectional waterproof trail maps (1:62,500 scale, 50-foot contours, full color, folded to 3 ¾” x 6 ½”) include both trail descriptions/logs and elevation profiles.